So to make it easier to assemble some of the enclosures I make I recently experimented with making some clips to hold the things together instead of using the ubiquitous nut and bolt based T-slot construction method used in tons of laser cut assemblies. 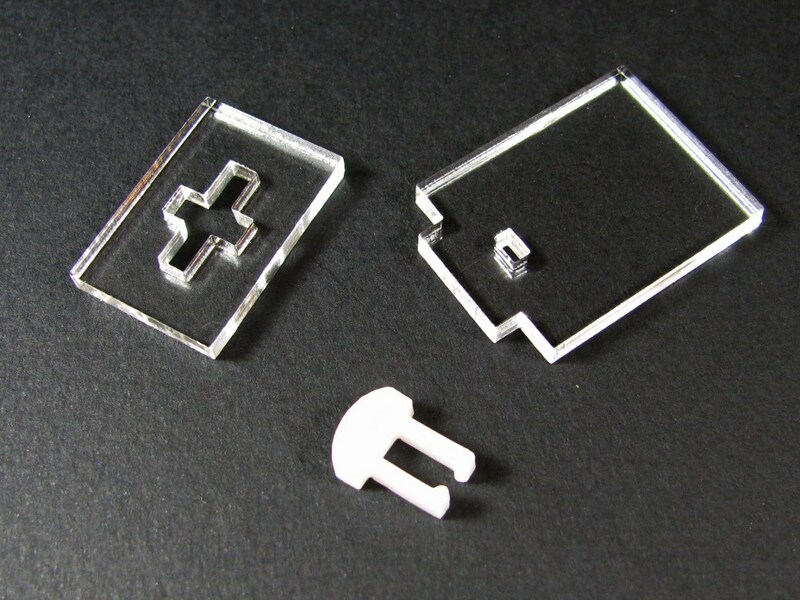 Some have integrated clipping mechanisms directly into the acrylic of the parts of the assemblies, and I really like that method, but I don't really trust flexing acrylic to not become damaged easily through normal usage, so I opted to go with Delrin based clips. You don't have to hold the nut in place while joining the parts and placing the screw, which can be quite annoying and require the assistance of some tape in some cases. 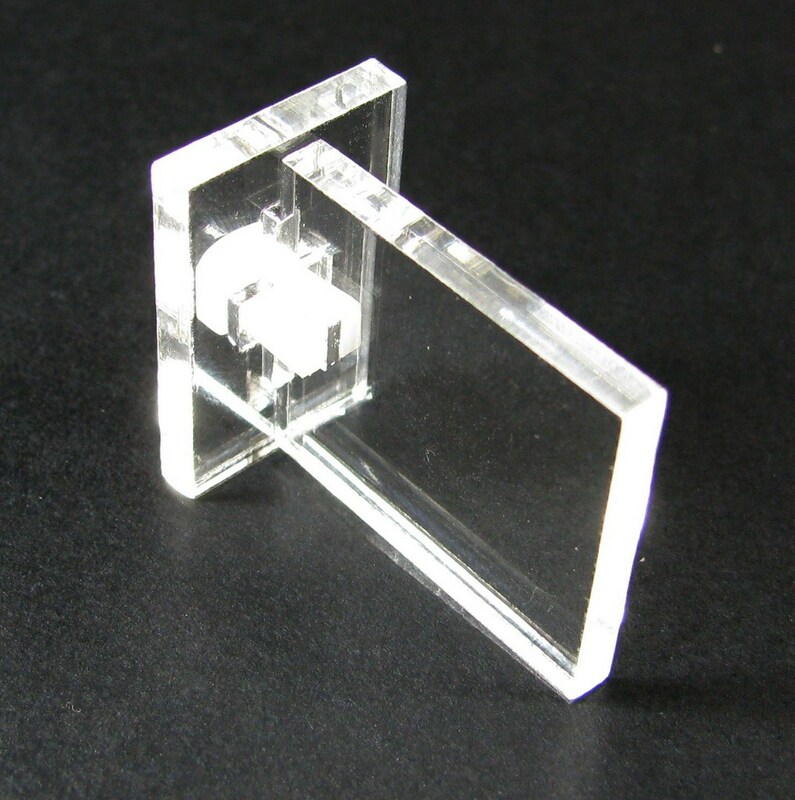 You don't have to worry about over tightening the bolts and cracking the acrylic. It's quicker and easier to assemble and disassemble parts, as you just have to press in or pull out the clips once all the parts are in place. There are some disadvantages too. The clips have a little bit of play to them, so the connections aren't rock solid like they can be with nut and bolt T-slots. I wouldn't use clips on projects where mechanical rigidity is key, but they're pretty attractive options in a lot of other cases. Here's an example of a completed project using the clips. 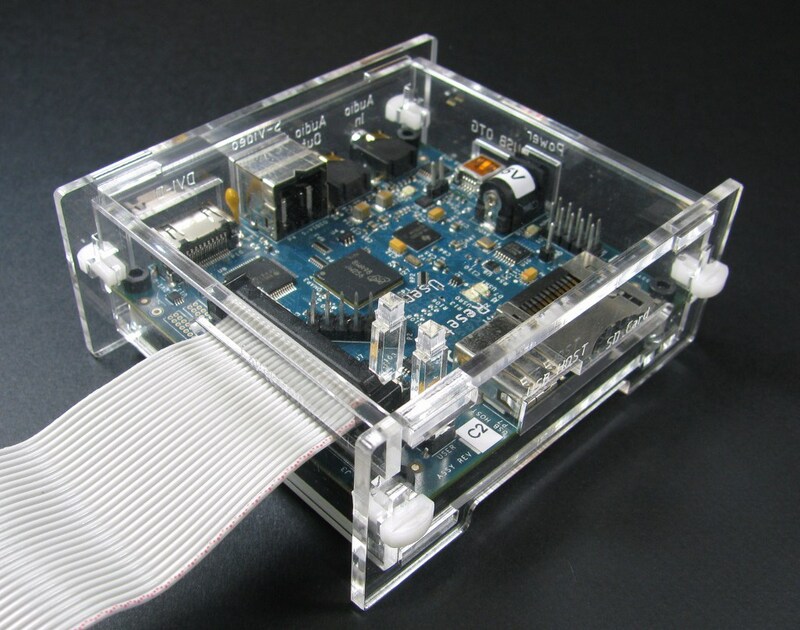 It's an enclosure for the BeagleBoard Rev C and you can grab the design files here if you want to take a look at the clip and slot designs or use them yourself. This entry was posted on Thursday, October 4th, 2012 at 9:56 am and is filed under Info. You can follow any responses to this entry through the RSS 2.0 feed. You can leave a response, or trackback from your own site. Where did you buy your Delrin? I have not found a good vendor that ships to Norway for under 100$ just in shipping-cost. I use a number of local distributors for any volume orders but I don’t use a whole lot of Delrin. McMaster Carr (http://www.mcmaster.com/) is a good source for Delrin in small quantities in a number of thicknesses and they have international shipping options. I’m unsure how much they charge but their domestic shipping rates are pretty good.